One summer morning, youngest Griffy Goat walked upto the Headland bridge. As he moved, one could hear a clippity-clop sound. “Tip, top, tip, top,” sounded the bridge. “Who dare stomp on my bridge?” yelled Jimmy, the giant. “Oh, it is just me, the little Griffy murmured in his feeble voice. Reading the above lines to a child and ‘telling’ these as a story are two different ways of expressing the same story to a child. The latter is called story-telling and is an art which not all can master. Appeal: A good moral story told by a story teller can impact a child much greatly than one simply read out to her. 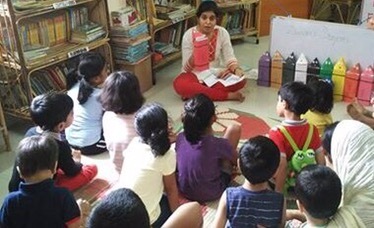 Story telling sessions can help your child learn values and virtues more easily and strongly. Knowledge enhancement: When it comes to stories, not even sky is the limit. 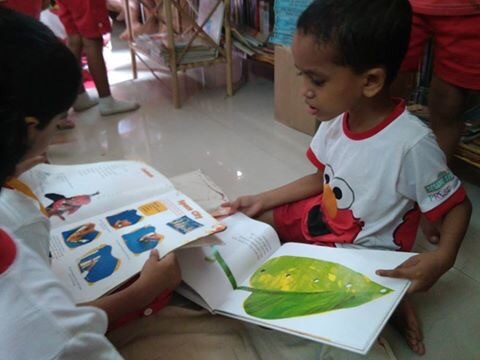 You can tell stories of animals, vegetables, science concepts, planets, numbers or even your own culture. This helps your child enhance his knowledge in a fun and a more effective way. Vocabulary enhancement: Telling stories to your child can help her enrich her vocabulary everyday. You never know she might tell you on seeing the owl that it goes ‘Hoot! Hoot!’. Attention span: Sitting through a story, teaches your child to pay attention to a single story in one go. He learns to pay attention which increases his attention span and also improves his listening skills. Develops imagination power: When a child listens to a story that is being enacted or narrated vividly, she steps into a world of her own imagination which takes her places and pushes her to imagine creative things. Don’t be surprised if you see ‘What colour were the monkey’s eyes?’ coming from your little one! 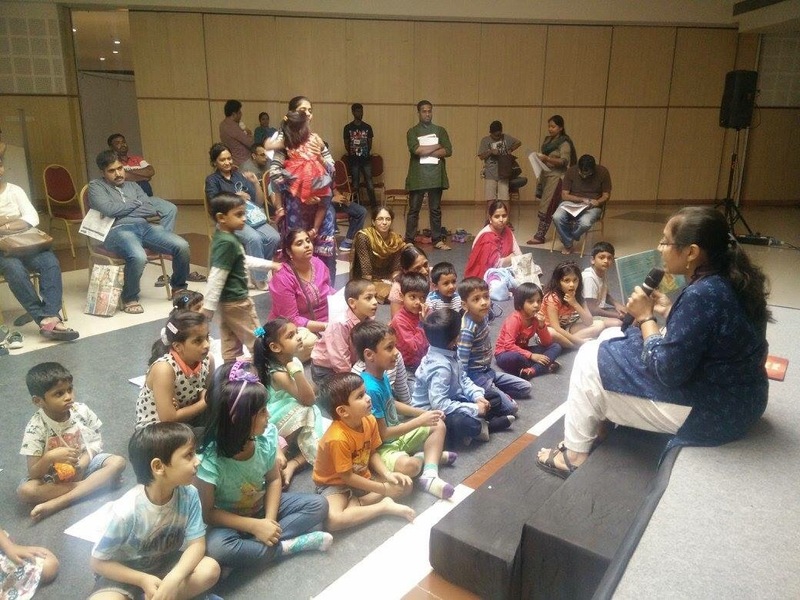 Enroll your child in a story telling session today and see your child enjoy various stories and come home and narrate them to you with double the interest and sparkle in his eyes! Next Fun Galore – The complete guide to all the Fun at The Hyderabad Kids Fair powered by KidEngage at Hitex from Jun2-5,2016.